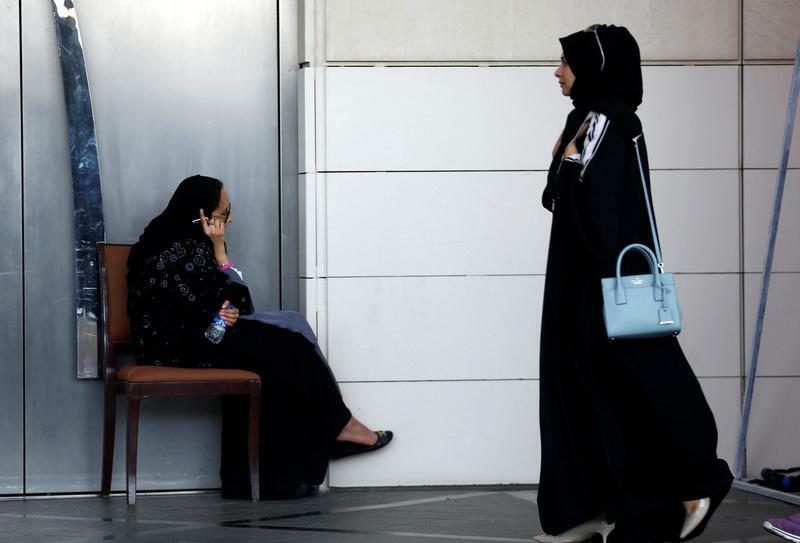 The move does not address the onerous burden Saudi women carry on account of the male guardianship system and is instead intended only to shore up the stature of the crown prince. On September 26, a royal decree personally signed by Saudi monarch Salman bin Abdulaziz directed the interior minister to initiate action to enable women in the kingdom to drive motor vehicles in the country. The decree noted that the majority of the Saudi Arabia’s Council of Senior Ulema had agreed that “the original Islamic ruling in regards to women driving is to allow it”. It also said that those who opposed this view did so on the basis of “excuses that are baseless and have no predominance of thought”. The king directed that an inter-ministerial committee work on the implementation of this decree and submit its recommendations within one month and that full implementation take place from June 2018. Thus, in a few short sentences, the king ended several decades of a Saudi tradition for which the country had been condemned the world over. In Saudi Arabia itself, the royal announcement was accompanied by reports quoting Saudi religious scholars emphatically stating that driving by women was not against Sharia. The secretary-general of the World Muslim League, Sheikh Mohammed Al-Issa, a member of the Ulema Council, asserted that women had the legitimate right to drive, one which could not be denied to them by an “isolated group”. The king, he noted approvingly, had based his decision on Sharia law. Islam did not forbid women from driving; the government was very keen to promote Islamic values, “on which it had built its existence”, the venerable sheikh concluded. Another commentator, Frank Kane, described the decision as a “game-changer” and felt it was part of realising the country’s ‘Vision 2030’ strategy of diversifying the economy and boosting private sector employment. Driving would increase women’s employment, at present at just 15%, and national productivity (as women were better-educated and more work-oriented than Saudi men). Again, the improvement in the country’s image would improve global investment, while car manufacturers would enjoy a bonanza. The only sector suffering a setback would be the taxi and limousine services. Kane quoted a report saying that the initiative would boost national GDP by 0.4%. Abdul Rehman Al-Rashid, the veteran Saudi journalist, saw the reform as the end of “the mother of all battles” and “the beginning of a new era”; we are now witnessing “a new modern kingdom” taking its place among “civilised nations on a broader scale”. The initiative had great political and social significance, Al Rashid said, in that it signalled that the government was committed to reform and change, and would not tolerate opposition from any source in this endeavour. There are reports from Saudi sources that full credit for this move should be exclusively ascribed to the king and the crown prince, ignoring the nearly 30 years of activism by courageous women in the country and the retribution they have had to regularly suffer at the hands of the clergy and the religious police. The Atlantic has interviewed the Saudi activist, Hala Al-Dosari, who said that as the decree was being announced by the king, several women activists in the country were instructed on telephone not to make any comment to the media on the decision, positive or negative. When a lady asked what would happen if she praised the decision, she was told: “Measures will be taken against you.” Al-Dosari believes that the decision has little to do with women’s emancipation; it is about “consolidating political power” by removing the activists from the discourse, she asserts. Twenty years later, in June 2011, about 30-40 women again went on a driving demonstration in Riyadh and Jeddah, though only a few were arrested. However, this effort split Saudi society when several men said on Facebook they would beat up those behind the wheels of their cars. Some observers noted at the time that while the rest of the Arab world was debating major issues of political reform in the context of the Arab Spring agitations, the public discussions in the kingdom were about women driving. The London-based Saudi anthropologist and political commentator, Madawi al-Rasheed, has pointed out that women have been agitating publicly on various issues in Saudi Arabia since 2005 when teachers took up the non-regularisation of their employment contracts with their educational institutions. These low-key demonstrations expanded rapidly to different parts of the country, with several women activists being detained and questioned by security forces and religious police. To avoid arrest, the tactics they followed were to praise the king (King Abdullah bin Abdulaziz) and criticise the officials. In her book, A Most Masculine State: Gender, Politics, and Religion in Saudi Arabia, al-Rasheed has placed the ‘women’s question’ in Saudi Arabia in its proper political context. She has noted that Saudi Arabia is unique among states in the Arab world in defining the Saudi state by shaping the religious tenets of Wahhabiyya (the reformist doctrine enunciated by the 18th-century religious scholar, Sheikh Mohammed ibn Abdul al-Wahhab) into a “quasi-nationalist project”. This project has some important implications. Drawing from religious nationalism and tribal tradition, the subordination and exclusion of women in public life is institutionalised, giving the kingdom its unique character in the modern comity of nations. In practical terms, this has meant an insistence on the hijab and niqab (head and face covering) for Saudi women in public, prohibition on the mixing of opposite sexes not linked legitimately and restrictions on the free movement of women. The first requirement has transformed women into what writers Paul Aarts and Carolien Roelants have described as “anonymous black ghosts who sneak around the white marble shopping centres”. The last two requirements have led to severe limitations on the employment of women and the ban on their driving their own vehicles. As the Saudi writer, Saad Sowayan has said: “A woman for the fundamentalists is but a body in which resides only lust and the devil.” A Saudi professional has described them as “the dead meat”. But, there is another aspect of the Saudi project: in the national scenario, the political leadership, the royal family, is the supreme authority, and can and does decide on national issues, even when certain sections of the religious establishment oppose those positions. Indeed, such royal decisions are frequently applauded by the clergy and justified on grounds of Sharia. Thus, based on the exigencies of their own interest and to use women-related matters for or against the clergy and/or other sources of dissent, the Al-Saud have moved frequently from upholding conservative positions relating to women to espousing progressive policies. Thus, in the 1960s, the Saudi leadership promoted women’s education to project a modern image internationally against the wishes of the clergy. However, after 1979, the kingdom backed conservative policies to burnish its Islamic credentials in the face of challenges from the Iranian revolution and the takeover of the Mecca mosque by Islamic zealots who questioned the Al-Saud’s commitment to Islam. Later, after the events of 9/11, when the kingdom came under external pressure to reform, the king pursued a reformist programme that included increased participation of women in national affairs. Thus, the recent decree permitting women to drive should be viewed in the specific background in which the decision has been taken. The pressure to make a dramatic gesture in favour of reform has come from both domestic and external sources. At home, the king and the crown prince are facing serious difficulties. 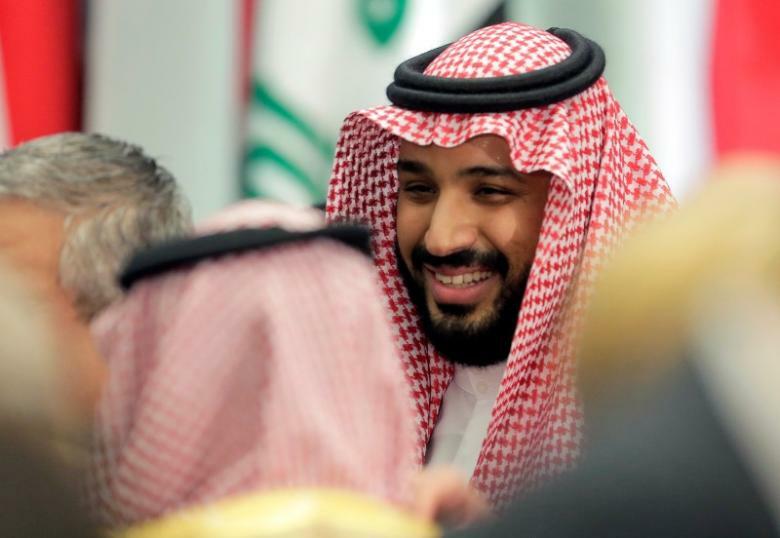 The 31-year old crown prince has ousted two senior and distinguished crown princes to claw his way to the top and position himself for the throne. There are widespread rumours in the kingdom that this final elevation is imminent, perhaps even later this year or early next year. This is may not be a cakewalk as the last ousted crown prince, Mohammed bin Naif, was removed on the feeble ground that he was taking painkillers which had impaired his judgement. This is the one prince who was actually in the line of fire of terrorists and known both for firmness and compassion when dealing with radicals. He is said to enjoy considerable popularity; perhaps, this is why he is believed to be under house arrest. To complicate the scenario, crown prince Mohammed bin Salman has also projected himself as the architect of two major national transformation projects, the Vision 2030 and the National Transformation Program 2020, which seek to effect drastic changes in the Saudi economic order with very ambitious, time-bound targets that many observers see as unrealistic. Some of the targets in the NTP are under review at present. More seriously, the crown prince is personally associated with military conflicts involving his country in Syria and Yemen, in neither of which is there any sign of success, despite the billions of dollars spent so far and widespread death destruction wreaked by Saudi and Saudi-sponsored forces. In fact, in Yemen, the kingdom has faced accusations of human rights abuses and for causing a humanitarian crisis affecting millions of indigent Yemeni women and children. More recently, the confrontation with Qatar, said to have been pre-planned through a cyber attack, has caused much anguish across the Gulf Arab countries, with a small fraternal nation seen as being subjected to a humiliating blockade. The external pressure on the crown prince is the need to keep the solid relationship the prince has developed with President Trump and his family intact and possibly improved. Thus, the lifting of the ban on women driving serves several purposes for the prince. It projects him as modern and liberal, a true leader of the youth of his country, which has 70% people below the age of 30 years. It also confirms his commitment to his transformation plans in which the youth are to be important partners in the building of a new nation. The prince has further endeared himself with the young by taking on the Wahhabi clergy: he has forced it to reverse a firmly-held and cherished position and then allowed it to be lampooned in the national media it for its “flexible” position on Sharia. With the Saudi ambassador’s simultaneous press conference in Washington, the announcement of the change was orchestrated to appeal to Trump and the US public. 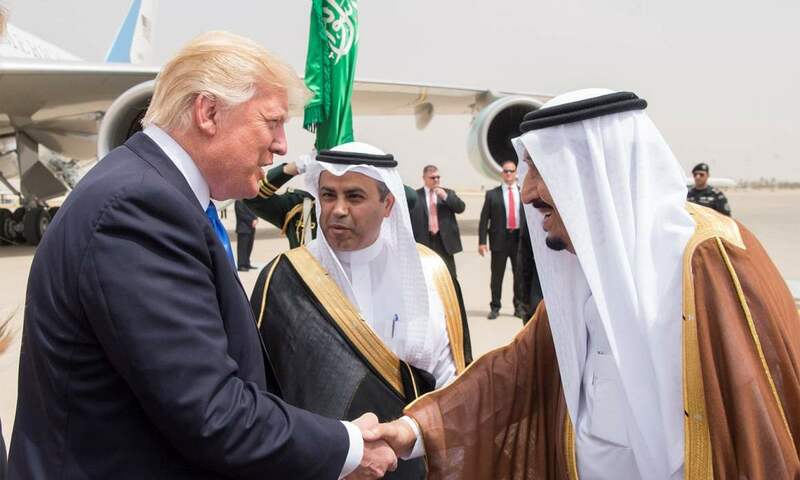 As intended, Trump has responded positively, affirming that the Trump-Al Saud alliance is in place. This has enabled the prince to maintain tough positions against Qatar and Iran while retaining his links with Israel, an important part of the Trump “doctrine” for West Asia. The dramatic lifting of the ban on women driving is intended only to shore up the stature of the crown prince, affirm his fitness to take over from his father in the near future and rule his country for several decades. Though the announcement has been accompanied by cacophonous applause from different sides, it is obviously an organised, state-directed effort: real thinking on the ground has not yet come through and it is not certain that the game-plan will proceed with the smoothness the prince hopes for. The lifting of the driving ban does little to address the onerous burden Saudi women carry on account of the wilaya or guardianship system, in terms of which every woman is subject to a legal male guardian, father, husband or son, whose permission is required for her to marry, get divorced, travel abroad, open a bank account, get employment, or undergo medical surgery. Even with regard to the driving ban being lifted, some observers are sceptical, given that it will come into force only nine months hence and details of its implementation are yet to be spelt out. Again, while it is true that establishment ulema in the kingdom are generally subservient to the Al Saud and have robustly sung the praises of the king and his son, the fact remains that over the last nearly 30 years the kingdom has nurtured a dissident ulema: referred to generally as part of the country’s Sahwa (“Awakening”) movement, they are learned, enlightened, well-versed in regional and global politics and political activists (with some influenced by the Muslim Brotherhood) and not readily cowed down by coercion from the royal family. Several of them were arrested on the eve of the royal announcement. The commentator, al-Rashid, in his hagiographic article referred to above, has described these dissidents thus: “This class is an extremist one, with bad intentions opposed to every step or project, because it wants Saudi Arabia to remain a crippled, bleak and paralysed state until it fails.” He then asserted that they would not be “allowed to stop the wheel from turning”, possibly a reference to the wheel of progress. The Sahwa dissidents are a multifarious group; while some might have opposed the lifting of the driving ban, others would have supported it. They have certainly not been detained on the driving issue but for their demand for all-round reform in their country, particularly participatory government. The prince has scored no major victory by cowing down and even humiliating the establishment ulema; he has nothing to fear from them. The Sahwa ulema, on the other hand, is likely to be more formidable opponents, many of whom will not be won over through incarceration. Thus, the lifting of the driving ban is just one more royal exercise to manipulate the country’s “women’s question” for short-term political advantage. It excludes any indication of a real change in the country. This will only happen, as al-Rasheed says, in a participatory democracy in which Saudi citizens actively determine policy, scrutinise government accounts and actions and are partners in governing themselves. This is not on the crown prince’s agenda, just as it has not been considered by the Al Saud over the last hundred years. 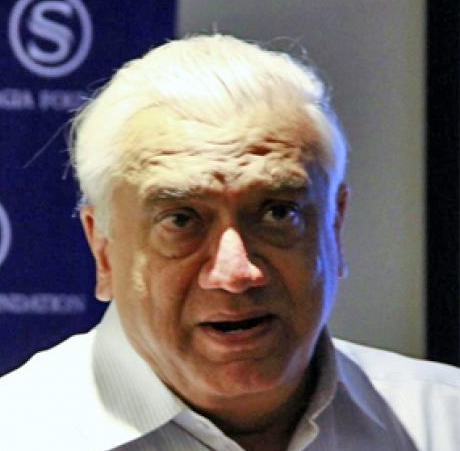 Talmiz Ahmad, a former diplomat, holds the Ram Sathe Chair for International Studies, Symbiosis International University, Pune and is Consulting Editor, The Wire.